President Yanukovich said the country will not sign up to military alliances. It is part of a bigger plan to put a stronger Ukraine at the crossroads of East and West, as well as to rebuild relations with Russia. A country in ruins – this was Viktor Yanukovich’s description of Ukraine when he took over from Viktor Yushchenko three months ago. The same message was heard during his first address to the nation a hundred days later. Announcing his major-scale reform program, Yanukovich once again put the boot into the previous administration. “Look at Ukrainian politics through the eyes of an ordinary citizen,” Viktor Yanukovich said. Privatizing state assets, re-financing healthcare, changing the education system – Viktor Yanukovich’s ambitious reform program surprised those attending. “He said the word economy 15 times, while the word culture sounded as many as 30 times. He focused on changes in education and the development of science. This is surprisingly good to hear from Yanukovich, who’s known to be a pragmatic economist,” says political analyst Dmitry Vydrin. Foreign policy was also one of the issues Ukraine’s leader touched upon. Just as he did three months ago, Yanukovich said Kiev will try to build a strategic partnership with Moscow, Washington and Brussels. And as some have been predicting, the country will not be stepping down from its course towards EU membership. But in an about face, NATO is off the agenda for now. 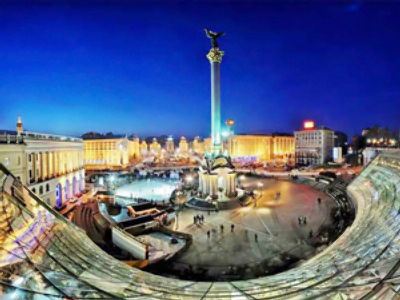 A spokesperson for the Ukrainian Foreign Ministry, Oleg Voloshin, says that the motivation for this is that the majority of Ukrainians stand for the non-bloc status of the country. “That means that not only the issue of joining NATO, but also the issue of joining any military bloc cannot be on Ukraine’s foreign policy agenda. That’s perhaps our contribution to stability in the region. We do think that a non-bloc Ukraine would contribute much greater to peace and stability in Eastern Europe, as well as to peace and stability between the west and Russia,” Oleg Voloshin said. Meanwhile, it was the landmark Kharkov agreement of mid-April between Moscow and Kiev which sparked the fury of the opposition. The two states agreed to prolong the lease of the Russian Black Sea fleet in the Crimea in exchange for cheaper Russian gas for Ukraine. 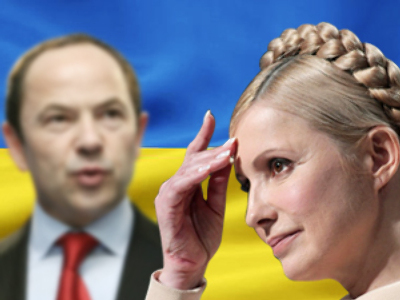 Former Prime Minister Yulia Timoshenko called it a sell-out of the nation and attempted to jeopardize the agreement’s ratification. The opposition protested, but now the discontent has seemingly died down. Starting with tens of thousands of protesters, their last rally two weeks ago managed less than 200 people. The last three months with Yanukovich have been rather turbulent for Ukraine, and many are still uncertain about their future. But both supporters of and opposition to Yanukovich understand that this is only a small part of his five-year term. The first hundred days of Yanukovich in power may not have brought any significant breakthroughs, and now all eyes of the nation are on whether he will keep the promises he made in his address. But many experts agree that, just as when he began, Yanukovich faces an uphill task: that of resuscitating a country ravaged by poverty and corruption.